Last Minute! SVE en Grecia con salida Diciembre! Hoy os presentamos este proyecto SVE ya aprobado donde Ingalicia es Sending Organisation. EL proyecto se realizará en Grecia (6 meses – 3 de Diciembre 2013/3 de Junio 2014) y está indicado para Chicos con estudios/experiencia en Gerontología. La entidad solo aceptará perfiles de chicos con estudios /experiencia en gerontología. The “Agios Vlasios” Chronically Diseases Infirmary of the Holy Metropolis of Thiva & Levadia is an elderly care center that aims to offer treatment, affection a nd care to people of both sexes with priority those suffering with chronically diseases. The working facilities are modern inside the hospitable 2-floor building with comfortable sitting and refreshing room. There is a seminar room with 200 persons capacity that is also used as an indoor gym during the winter. There is a restaurant and conservatory along the 2 floors and 34 rooms divided between the 2 floors with view to the gardens. The Infirmary operates in 3 shifts a day. Volunteers accommodation will be in a multi-room house (1 person per room), with fully equipped kitchen with sitting room, bathroom, hallway located in a rural area near the Chronically Diseases Infirmary. Food would be available at the Chronically Diseases Infirmary building installations 2 times a day (lunch, dinner). Breakfast will be self-prepared at home. Transportation to/from Infirmary is made by the use of a rented car that will be given to volunteers for this purpose only with a monthly petrol allowance. Driving licence is essential for volunteers. Cycling is always an effective way of transportation in such a close distance and there are bicycles at the infirmary for common use. a) Voluntary service will follow the daily program of the Infirmary with the personal care of the elderly such as facial cleaning and beauty, serving water and food, walking them around the Infirmary. b) Voluntary service with weekly creative activities for the elderly such as handicrafts, physical education, music, communication, free time entertainment and walking companion to the city, through individual and group activities. 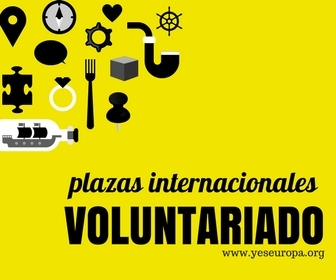 b) Voluntary service on planning, organizing and implementing activities with similar institutions from abroad in the frame of various European and World programmes. Creation and moderation of a webpage, design of a leaflet and organize an information/dissemination event for publicity and organize public events. This project seeks funding by the EU Youth in Action Programme, Action 2 – European Voluntary Service and according to the rules accommodation and food will be provided by the organizers along with one return ticket to the venue covered up to 90 % of its cost. There is also pocket money allowance for the volunteer per month. RECUERDA! El proyecto ya está aprobado e Ingalicia es la entidad de envío, con lo cual solo podrás participar a través de ingalicia. El proyecto está abierto a candidatos de toda España. El proyecto está dirigido SOLO a chicos con estudios y/o experiencia en gerontología.